October is National Cyber Awareness Month, and we’ll be spotlighting cybersecurity content on the blog all month long. Information security governance is perhaps the most challenging aspect of cybersecurity. Governance, while not a four-letter word, is often discussed with the same grumble that one uses when speaking about the dentist or aged fish. The basics of governance revolves around the advancement that simple accountability and transparency deters calamity. One cannot predict and avoid all disasters — think volcano here — but at the same time, one cannot grade one’s own homework. It works well until there is a real test and someone else has the red pen. I think it was the queen of corporate governance, Nell Minow, who said, “watched boards change.” I agree, and would say this observation can be applied all the way down the corporate chain into an organization: those that change are the ones who are watched as objectively as possible. Corporate governance: The system by which organizations are directed and controlled. Corporate governance of IT: The system by which the current and future use of IT is directed and controlled. Corporate governance of IT involves evaluating and directing the use of IT to support the organization and monitoring this use to achieve plans. It includes the strategy and policies for using IT within an organization. Management: The system of controls and processes required to achieve the strategic objectives set by the organization’s governing body. Management is subject to the policy guidance and monitoring set through corporate governance. Security leaders should tack these definitions to their wall. 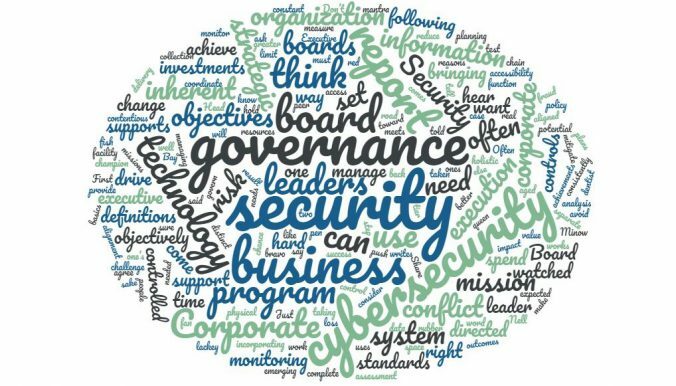 When it comes to how security leaders can set the right direction for the board and make sure the Board has the right information for strategic oversight, I think it is a “two-way street.” Boards need to come to the security business and ask questions and security leaders need to come to the Board with improved reporting. Perhaps an improvement would be an approach that keeps the security report separate and distinct from that of technology. For organizations where information security, or cybersecurity, does not report to IT— bravo! You have taken a step toward greater transparency. The inherent mission of IT is accessibility and availability and the inherent mission of security is possession (control), protection and integrity. These missions are often in conflict, and managing them under the same leader (often a technology leader), could result in a Head of Security who does not have the chance to challenge or push back against the IT Executive who writes their performance assessment and controls their compensation. We can better coordinate, manage and govern our complete security capabilities by bringing cybersecurity out of IT and taking a more holistic approach to incorporating physical and facility security, fraud and loss mitigation, and the other components converging security capabilities, data collection, management, and ultimately governance. Above all, be transparent and accountable. Don’t tell the board what they want to hear or what you think they want to hear (they know when they are being managed). Represent the security program objectively. Characterize how security investments support the delivery of value for the business and supports organizational objectives. Do the hard work to consistently measure, monitor and report on security risk, and to provide the analysis between security investments and the execution to mitigate or manage risk and reduce or limit potential impact. Share performance and achievements of security resources — these drive the execution of a program and they are where the rubber meets the road for execution of the security program. Just like other business function, people are what drive success for a security program. Demonstrate how cybersecurity is aligned with and supports the strategic planning and objectives of the business and the expected business outcomes. Often the inherent conflict between the IT mantra of constant access and availability will be in conflict with cybersecurity’s mission of possession, protection and integrity, but the two do not have to be contentious, but IT needs a peer who can hold IT accountable if needed, not a lackey who does what they are told. 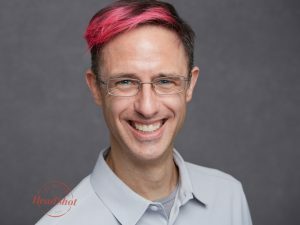 Joseph (Joe) Dalessandro is the program chair of the Information Security Leadership program at Brandeis University Graduate Professional Studies, and the Head of Security & Technology Audit and Audit Data Analytics, Australian Unity. Brandeis GPS offers a Master’s of Science in Information Security Leadership. The part-time, fully online program prepares graduates for leadership roles in information security with a cutting-edge, industry relevant curriculum that builds leadership savvy and skill in leveraging technical know-how. For more information, contact gps@brandeis.edu, call 781-736-8787 or visit www.brandeis.edu/gps. Love it or despise it, the Internet of Things (IoT) has forever altered human thinking and interaction. Increased telemetry from our bodies through wearable tech and app analysis of data about our health and personal space has led to discovery, identification and interactions with others through apps and smart devices that is the new norm. How will this explosion of devices change our mission objective as security leaders and professionals? The term IoT is generally applied to “endpoint” objects such as devices, wearables, cameras, chips, toys, and other objects that can be accessed through a connection such as WiFi or other carrier signals and interacted with via the internet. 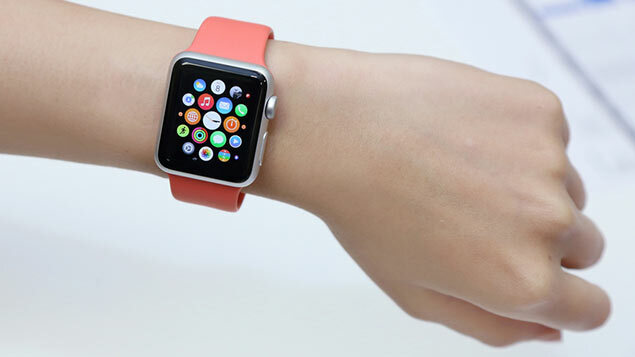 Examples that have become pervasive would be FitBit wearable’s, iWatches, Alexa or Google Home devices, Nest thermostats, and medical devices such as insulin pumps. While these devices are limited in capability, often just one or two functions or a binary state of on/off, the numbers of devices and the absence of uniform minimum security standards from manufacturers present a problem (several actually) for our IT departments Infrastructure management and security professional. While I am not sure where that bandwidth comes from (I cannot get great consistently streaming bandwidth for Netflix sometimes), what worries me more is patching, tracking and controlling devices. Now, I am not suggesting we control all devices, but I need to control the ones that are on my network because they will increase the potential surface of attack for our networks by orders of magnitude. The more devices you add, outside of implemented and effective controls, the quicker your organization will suffer a breach. Therefore, if you don’t get roles such as patching right you will be lost under the crushing weight of IoT adoption rates. We have to get the “basics” right to ensure we have a foundation capable of integrating IoT devices. We will also need to assess risk and device configuration and a number of other areas we will not venture into here. Yup, that was just step 1. Get all this right and you can start to think about being able to control IoT in your ecosystem. 2. Determine the level of increased risk, or changed risk, related to data loss or breach from #3. 3. Augment your information management or data governance policies and processes to encompass IoT increased data creation and interaction. 4. Determine the physical limits or extensions of IoT devices. Can users outside your physical location use devices or access devices inside your physical location? Do you need to limit (or attempt to limit) the carrier signal outside your four walls? 5. Hire a competent and qualified leader to bridge between security and IT. Brandeis Information Security Leadership graduates are great candidates. IoT is a big problem that can seem overwhelming, where unpatched devices can increase your threat surface by orders of magnitude. Remember, getting the basics right will see you treating IoT with the same risk strategy that has allowed you to manage technology risk. 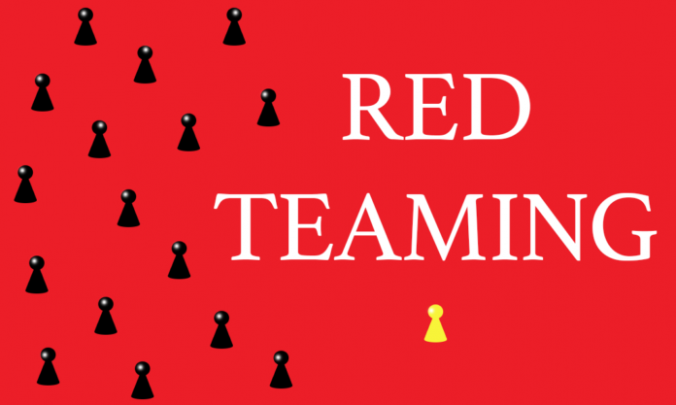 We hear the term “red team” liberally used these days, applied in the security space for both force-on-force scenario testing (subverting hardened facilities and assets) and in the information security space, primarily referring to “white hat” hacking to assess security posture for systems, devices, network perimeters and web applications. A “red teamer” in the decision support or strategic space is formally trained and uses critical thinking tools and techniques to provoke analysis, stress test strategies, plans and perspectives. At the heart of this work is the modeling or reframing of the problem space from the adversaries perspective. Red teamers and Security Pros are by nature contrarians, and it is this contrarian mindset we want to capitalize on. While cybersecurity “red teaming” as penetration testing is vital to an organization’s testing of its security and data protection posture, it has a narrow scope. However, everyone these days in this space wants to refer to his or her work as red teaming. The practice of decision support red teaming is the area that I am submitting an organization can immediately benefit from and are not currently employing. This is an area where your security team can add value by adopting the tools and techniques to facilitate red teaming. Information security professionals are diverse thinkers and often “see” across the entire enterprise. Equipping them with red team tools and techniques can enhance their value in guiding the organization to make better decisions. So how do we do it? How do we immediately capitalize on our existing stance as contrarians to serve as strategic red teamers? There are a number of available tools such as the U.S.Army’s Applied Critical Thinking Handbook, and Bryce Hoffman’s Red Teaming. We start with, most importantly, is buy-in and genuine support from the top of the organization, and the admission that we will trust our decision to conduct red team analysis and we will be true to the results. There are a number of short tools to use to try this, one of the most straightforward is to have your security staff conduct a premortem on your most important security project for the upcoming year. The basic approach of the premortem is to visualize, prospectively, about the project failing and using this to illuminate the cause(s) of the failure. This is not a risk assessment. We are not speculating on what could harm our project, we are identifying what actually caused the failure. This is pathology; we are engaged in diagnosis, not prognosis. Supplies needed are easy to acquire, you will need paper or index cards and pens/pencils and a white board or projector. The leader (security staff facilitator) level sets with the group by reading out the summary from the business case or a summarized version of the project. The leader tells everybody that they should assume that their team, the project team, has made the decision to go forward and that the project has gone forward and has concluded. We are in the future now, a year into the future, and the project has been an utter failure. It has crashed and burned with no redeeming outcome or benefit. Exercise: Each player (project team member) takes the paper in front of him/her and writes a brief narrative or cause of the failure. Take 5 minutes and work in silence. The facilitator collects the paper or cards and generates a list of all the points on a whiteboard or projector. The facilitator can now work with the group to solicit further failure ideas, inspired by the list. Red teaming is best conducted with as diverse a group as possible, and often times those who have had the least to do with the project plan formation can provide insights into points of failure. As you look to expand your tool set in the future, a master’s degree in security leadership can help engender this contrarian mindset and improve the value of security in your organization. People management is one of the hardest and most rewarding experiences of one’s working life. With the advent of the “gig” economy, I am curious how we are faring in hiring in the cybersecurity space. Cybersecurity hiring has been universally difficult for some time. It’s not that there is a lack of quality candidates. The issue is that we are missing each other. This is due in large part to the “traditional” hiring approach that many mangers adopt when they have open roles. They head to HR, or pick up the phone and call HR, and ask HR to find them candidates. This happened to an acquaintance of mine not too long ago. He was looking for a junior information security analyst: a basic role that requires entry-level experience. 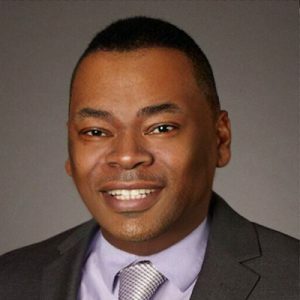 He received more than 600 resumes, and realized that solid candidates were getting lost in a sea of unqualified applicants who know security is hot and want in. Use your network. Get into your network and spend some time talking to your peers. Learn how to recruit and get out and start recruiting. If you have people in your network that would be perfect, call them. If they do not want to move, find out if they have contacts looking for work. Ask your peers where they are finding hires. Share information on candidates, someone who is not a good team fit for you may be a good team fit for a peer of yours. Set the expectation up front in postings that you are different and you are serious. Include information in job postings that candidates will be tested on role skills during the first interview. Those without skills and basic security knowledge immediately fall out. This works well for junior roles. For more senior roles, make it known up front that for technicians they will need to demonstrate skills and for managers, they will need to discuss culture, training and retention. Make candidates provide a cover letter or cover email that explains how their experience aligns to the role, or provide them a platform to do this in a structured way. This will, once again, weed out those who do not align with the expectations of the role. If I need to describe in a table how my experience and skills relate directly to the role skills, I know that the manager is serious and is looking for the right candidate, and not just “looking” for candidates. Demand that candidates communicate, and get them together to be interviewed by other managers, from other non-IT departments, to interview them more objectively. 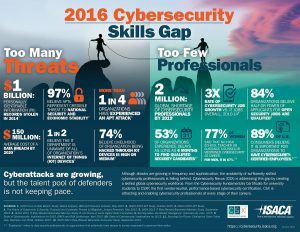 Look for skills and education that shows the candidate is more than a CISSP. CISSP’s are everywhere, but show me a CISSP with a master’s degree who can write a business case or executive memo and I’ll scoop them up. Once you build a team, you need to cultivate it. You want to develop your employees, and yes, eventually you want them to move on, to be successful in another department or another company. However, at the outset, for all your hires, you want to retain them, develop them and let them thrive. This will also pay when you need to hire. Some of those employees will develop into their next role with you, and if you know those employees and what they want and where they want their career to go, you can help. Do a better job of knowing your current employees and how you can develop them for that next role. Look at your team for diversity, and for diversity of thought, and make sure you employ some contrarians. Diversity in thought is especially important in cybersecurity. A diverse team will be a high performing team. For roles where you have great staff but they are taking leave or need a different structure to their job, consider altering your approach and preconceptions about the traditional working day or the traditional working role rather than replacing those employees. There are candidates for roles, but they need to be discovered. If you’re looking for a position, differentiate yourself from the masses. Why do I want to hire you? Stop memorizing port numbers and show me you know what P&L is and that you understand budgeting, or, develop your presentation skills, or, develop data analysis or data visualization skills. Or, better yet, get a master’s in security leadership and I’ll know you can handle the role.